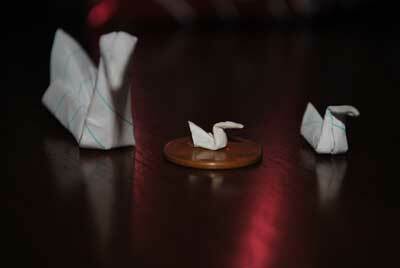 Here are origami swan photos that have been submitted by our readers. Check them out! 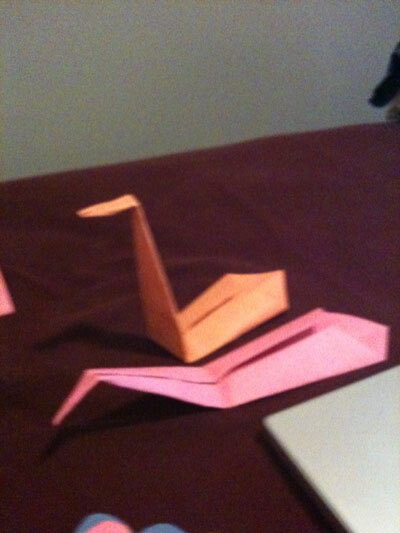 From reader in Louisville " Here is the swan origami! I did the orange one, and my 3 year old little girl made the pink one." 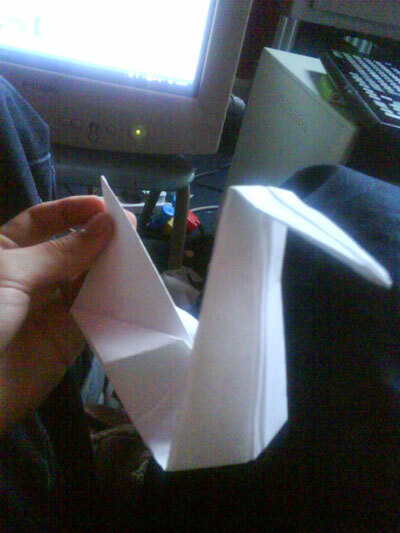 From Harold at Torhout " I succeeded this at second try, it's a little extra gift for my girlfriend for her birthday. I made like 10 already, it's an addiction, haha." 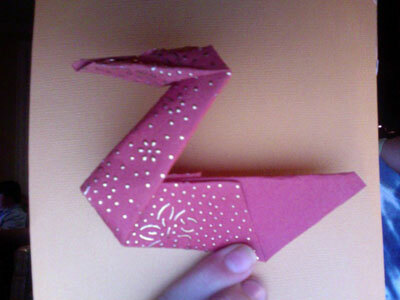 From Eleni in Brighton "Colourful Origami for our project." 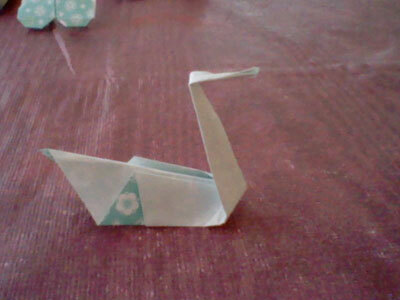 From reader in Elkton " Here's my attempt at the origami swan. 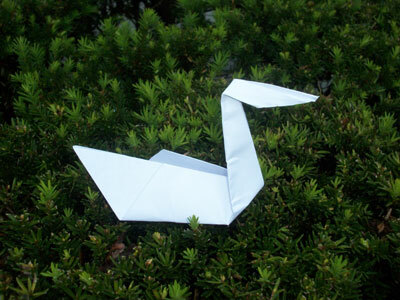 I'm doing it for a school project so I thought the swan looked very elegant, and was somewhat pleased with the results that I have. 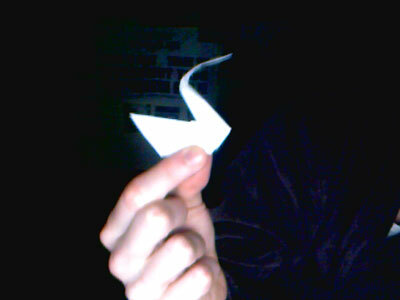 (: "
From Lauren in Sammamish " This is an origami swan, and this is my first time making it, and I think I actually did pretty well for my first time... "
From Katelyn in Moorseville " I am addicted to origami swans now, thanks for the walkthrough. 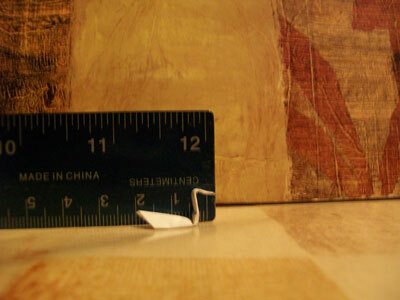 The smallest swan is half of a centimeter long, can anyone make a smaller one? " 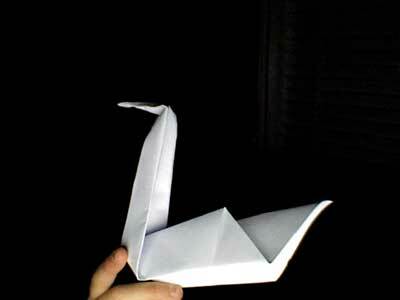 From Jover in Philippines " This is my origami swan." 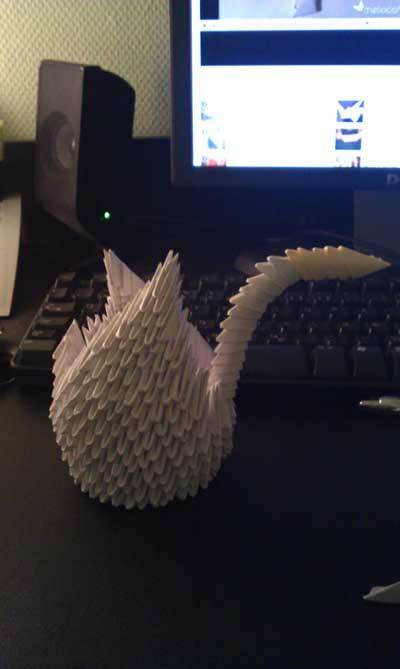 From Jonas in Norway " this is called 3D origami.It's really cool but it takes a lot more time. 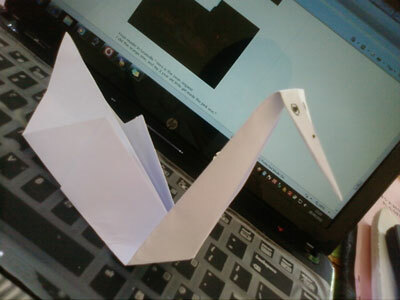 It's a swan under the category of birds. " 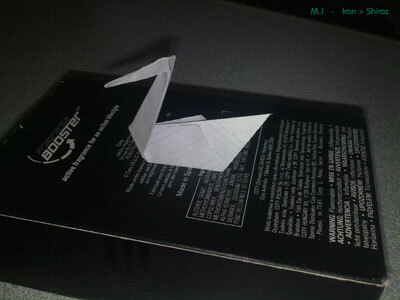 Thanks, Jonas, for submitting a photo of your 3D swan. I'm sure it took a long time to make that! 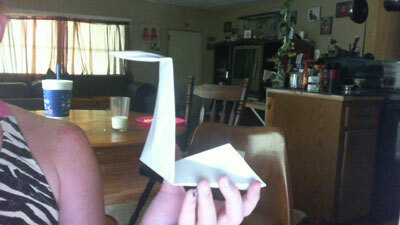 From Kami in Lakeland " This is the second time I have made a origami swan. I like this way soo much better than the first way I tried to make it. I do better with pictures than with personal instructors. " 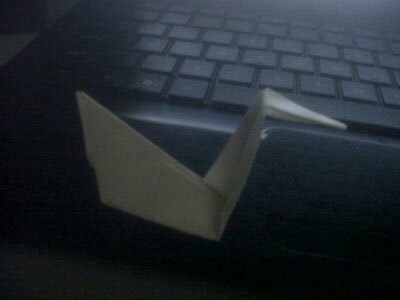 From Matt in Gosport " Smallest origami swan? 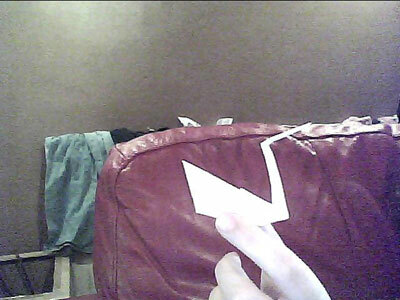 0.3 cm"
That's a tiny origami swan, Matt! 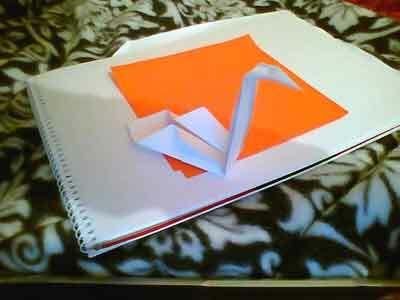 From Angie in Las Vegas "Origami swan etc. I love this site. 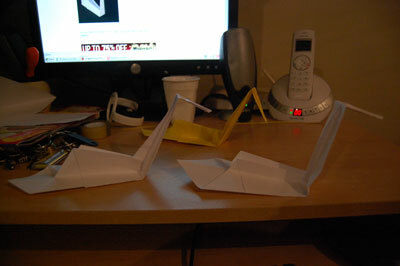 I've made more than 70 different origami. 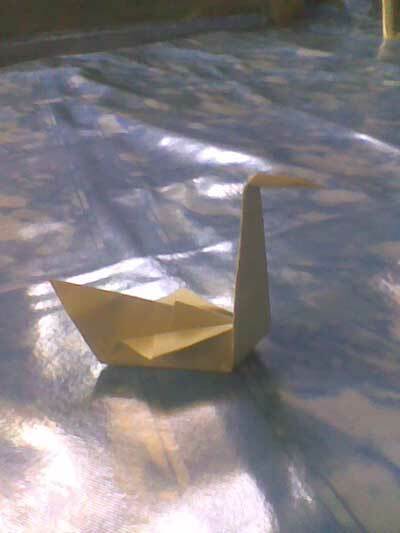 Iusually make origami in origami gate class. My favorite is the dinosaur. 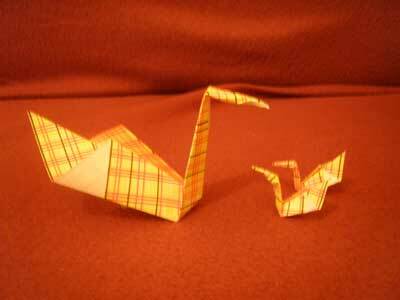 :D "
From Meghan in Augusta " Origami Swan with gold sparkles! " 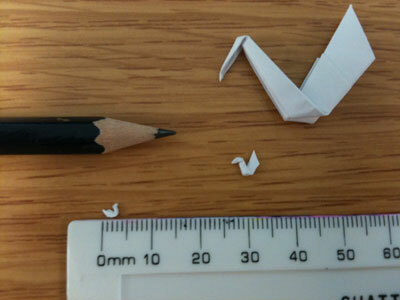 From Arran " My origami mini swan, I don't think 2cm is the record but it's still really small."